Whenever you begin to learn about a new skill it can seem as if those more experienced than you are talking in a totally different language. You will never find this to be the case on any of our courses but we thought it might be useful if we gave a brief explanation of some of the terms which are regularly used when resilience skills are discussed. The ability to accept what life has in store with flexibility rather than inflexibility, is one of the key skills of resilient people. When times are hard, those who master resilience will be adept at believing things will get better. Even if they feel broken after an emotional tragedy, deep inside themselves they know that they won’t feel that way forever and that they will recover in time. Acceptance is not about giving up but understanding that we will all experience a full range of emotions over a lifetime and trusting that, given time, we will always bounce back. Are the divisions which exist around different areas of your life, for example workload or checking email outwith the working day. Each individual is responsible for setting their own boundaries and learning to vocalise those boundaries so others can understand their position. For example, if you decide that you are no longer eating your lunch over your computer and are instead going out for a walk every lunchtime, let your boss and colleagues know this so they understand why they don’t get an immediate response to a telephone call or an urgent email sent at lunchtime and thus save everyone’s stress levels from rising. Boundaries are personal and sympathetically communicating yours to others is an essential element of resilience – people are not telepathic. Put simply, empathy is the ability to understand what another person is feeling by metaphorically putting yourself in their shoes. Resilient people are highly empathic, they read other people’s emotional cues, show sensitivity and build strong social relationships. It is a trait which has been shown to be valuable in the workplace, with lower sickness absence and higher levels of wellbeing displayed by teams who are led by a manger who can demonstrate cognitive empathy. Research has produced evidence that although there is a genetic basis to empathy, individuals have the ability to improve their aptitude to it. There are two main characteristics of impulsivity – reactions which are hurried and not planned, and reduced concern for the consequences of any action taken in haste. Weak impulse control can have many negative effects on your life. The resilient person will have the ability to control their behaviour when under pressure. They will distinguish between thoughts and feelings and take responsibility for feelings. Controlling impulses links closely with Regulation of Emotions (see below). There are two types of locus of control – internal and external. Those with an internal locus of control are more resilient and believe that they hold the power to determine or at least influence the outcome of situations which occur in their lives. Whilst those with an external locus of control will be more fatalistic and believe that outcomes are outwith their control and will be decided either by fate or by someone or something else. No-one has either a 100% internal or external locus of control, people will fit within a range on the scale. However, it is possible to develop a more internal locus of control which is essential for optimal resilience. Having a purpose and meaning in life has an important part to play in enhancing resilience and increasing a person’s overall wellbeing and life satisfaction. It is believed that a high sense of meaningfulness is needed in order to tackle life’s difficulties and pressures. If a challenge is seen as either emotionally or cognitively meaningful, it will be seen as worth investing energy in. Those who have a high sense of meaningfulness resolutely regain stability and meaning in their lives following a challenge or upheaval. The practice of mindfulness is thousands of years old and its roots lie in Buddhist meditation. It is a skill which is developed through practice and users report that, once it becomes a part of their everyday lives, it brings benefits to their health, wellbeing and contentment. Concentration is placed on your breathing and you allow thoughts to float through your consciousness without becoming attached. This process can strengthen our resilience by increasing our compassion (not judging ourselves or others), becoming more accepting (distinguishing between facts and feelings), becoming more open (viewing difficult situations as opportunities for growth) and increasing our creativity (drawing on our own power to visualise the results we want). One of the important factors of being resilient is to learn to be optimistic in a realistic way. 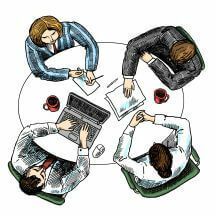 Resilient people tend to work with a belief that they will succeed, rather than approach tasks with a fear of failure. However, they will also have a healthy sense of realism, acknowledging the difference between being over cautious and being unrealistically optimistic which can lead to poor decision making and poor risk assessment. As regards resilience, problem solving is the ability to view a problem constructively and taking time to consider all the possibilities rather than making a snap judgement. A highly resilient person will try to identify the causes of a difficulty, a process which in itself will create possible solutions which can then be weighed up before a decision is made. To reframe is to rethink and reword an idea or belief in a positive outcome to a situation you felt was hopeless. In terms of resilience this can be the difference between someone, or a group of people, catastrophizing and imagining the worst-case scenario, and transforming the change into an opportunity for improvement for both themselves and those around them. Our emotions, thoughts and behaviours are all linked. Research has shown that you are more likely to be resilient if you can control your emotions. Self-awareness, flexibility and being in control of your emotions are concurring themes. This is not to say that resilient people are machine-like and unaffected by emotion, they will freely admit to experiencing occasions when their emotions are in freefall, but they do feel more in control of their emotions generally. See also Impulse Control. An important part of resilience is to understand what you’re feeling and why you feel that way. Sometimes people become frightened by their emotions and can become overwhelmed. Understanding why we feel upset can provide vital information as to what needs to change in our lives. It’s important to know what we do need, what we don’t need and when it’s time to ask for some help. Linked closely to Regulation of Emotions. Are those elements you focus upon whenever you know you need to re-charge your batteries. Resilient people look after themselves. Examples of self-care habits include knowing how much sleep they need to perform at their best, which foods and drink affect their performance both positively and negatively, the role spirituality may play in their lives, the type and timing of exercise which is most beneficial to them. The list goes on and will differ from individual to individual. Self-esteem relates to our feeling of self-worth. It is the overall opinion we have of ourselves, how we judge or evaluate ourselves, as well as the value we place on ourselves as people. In other words self-esteem has two parts; a feeling of personal competence and a feeling of self-respect. In resilience this self-esteem is based on a realistic sense of oneself and one’s capacities, along with an awareness of personal responsibility. The two terms self-efficacy and self-esteem are sometimes wrongly thought to be interchangeable. The model which is often used in resilience is two concentric circles representing self-esteem and self-efficacy to illustrate that a resilient individual believes they are capable of achieving, within reason, anything they really put their mind to. Self-efficacy relates to your self-belief that you are able to achieve a particular aim, it is different from self-esteem in that it is not a global view. You can possess self-efficacy in one area (e.g. DIY) but not in another (e.g. calling friends on the phone). Resilient people have been shown to have reasonably high, but not excessive, levels of both self-esteem and self-efficacy. Those little inner voices we all have and which lead to the silent conversations we have within ourselves. The important element of self-talk as regards resilience is paying attention to those conversations and listening to how you talk to yourself. Negative self-talk, for example “I can’t do anything about …”, should be discouraged and should be replaced with thoughts like, “I can try this and see what happens …” . The conversation can then be continued with an awareness of the way in which you are talking to yourself. Resilient people are able to reach out and ask for help when required without feeling inadequate or intimidated. In this respect they are prepared to take appropriate risks and see occasional failures as a necessary part of the process of maximising their potential. Reaching out for support can also deepen their relationships with those important to them, both in their work environment and their personal life. They acknowledge and value the importance of supportive individuals in their life and, as their circumstances change, they always make a point of building a network. May also be referred to as perseverance and is another trait found in resilient individuals. They have trust in the process they are working towards, whether it is an outward goal or an inner coping strategy, and do not give up. 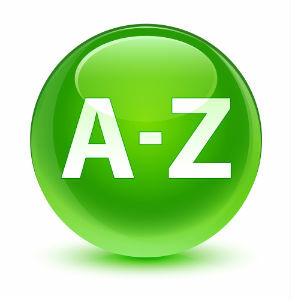 We hope you have found our Resilience A – Z useful, please don’t hesitate to contact us at [email protected] if you would like any further help, assistance or advice. 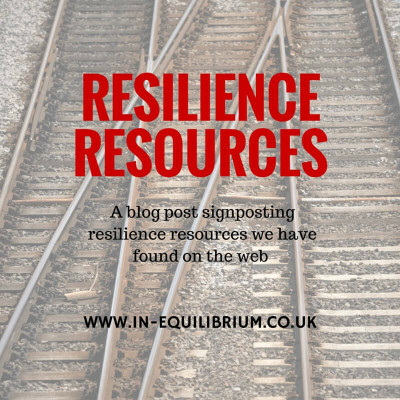 You may also find the Resilience Resources page of our website an excellent source for further reading on the subject.